Debate: Is The Affordable Care Act Beyond Repair? 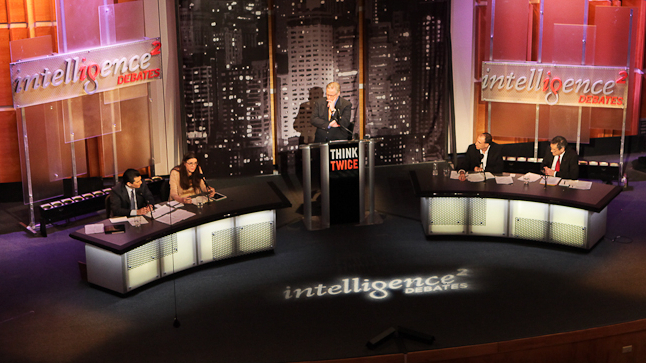 Two teams of medical doctors and political columnists face off over the hot-button health care law in the latest Intelligence Squared debate. Is Obamacare fundamentally flawed or poised to transform the health care system for the better? Debate: Is The Affordable Care Act Beyond Repair? 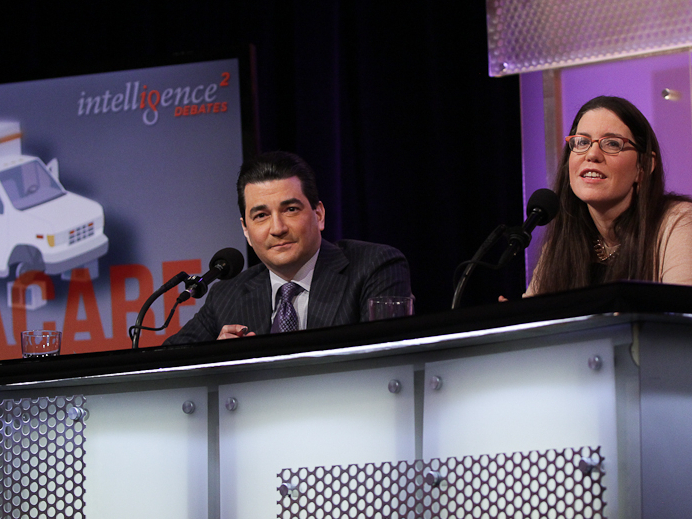 Dr. Scott Gottlieb and Megan McArdle face off against Jonathan Chait and Dr. Douglas Kamerow over the Affordable Care Act in a debate moderated by John Donvan in January. The Affordable Care Act had ardent critics and supporters long before last fall's troubled launch of the HealthCare.gov website. Opponents of Obamacare say the law will reduce, not increase, the number of health plans available to Americans and that fewer consumers will be able to afford care than before. And delays in implementation of portions of the ACA, they argue, demonstrate how the Obama administration has been forced to undermine its own law in order to keep it running. The law's supporters, on the other hand, argue that the new law is working. They say provisions like enabling young adults to get insured under their parents' policies and barring coverage denials based on pre-existing conditions are already broadening access to care. The law is already suppressing increases in health care costs, they say, and the delays in some aspects of the ACA are to be expected in such a significant overhaul of the health care system. Two teams, each made up of a medical doctor and political writer, recently faced off on the motion "Obamacare is now beyond rescue" in an Oxford-style debate for Intelligence Squared U.S. The team that sways the most people by the end of the debate is declared the winner. Before the debate, the audience at New York City's Kaufman Music Center voted 16 percent in favor of the motion and 53 percent against, with 31 percent undecided. Afterward, 32 percent agreed with the motion, while 59 percent disagreed — meaning the side arguing that the health care law is beyond repair were the winners of this particular debate. Scott Gottlieb and Megan McCardle argue in favor of the motion, "Obamacare is now beyond rescue." Dr. Scott Gottlieb is a practicing physician and a resident fellow at the American Enterprise Institute. Between 2005 and 2007, he served as former deputy commissioner for medical and scientific affairs at the Food and Drug Administration, after serving for a year as the FDA's director of medical policy development. He left the FDA to work as a senior adviser to the administrator of the Centers for Medicare and Medicaid Services on the implementation of a new Medicare drug benefit. Gottlieb is an editorial board member of the journal Value Based Cancer Care and the Food and Drug Law Institute's Policy Forum. He also writes a regular column for the Wall Street Journal and is a clinical assistant professor at the New York University School of Medicine. Megan McArdle, writer and columnist for Bloomberg View, writes about economics, business and public policy. She was previously a special correspondent for Newsweek/The Daily Beast, the business and economics editor at The Atlantic and a writer for The Economist. McArdle also founded the blog Asymmetrical Information and is working on a book, The Up Side of Down, to be published in February. 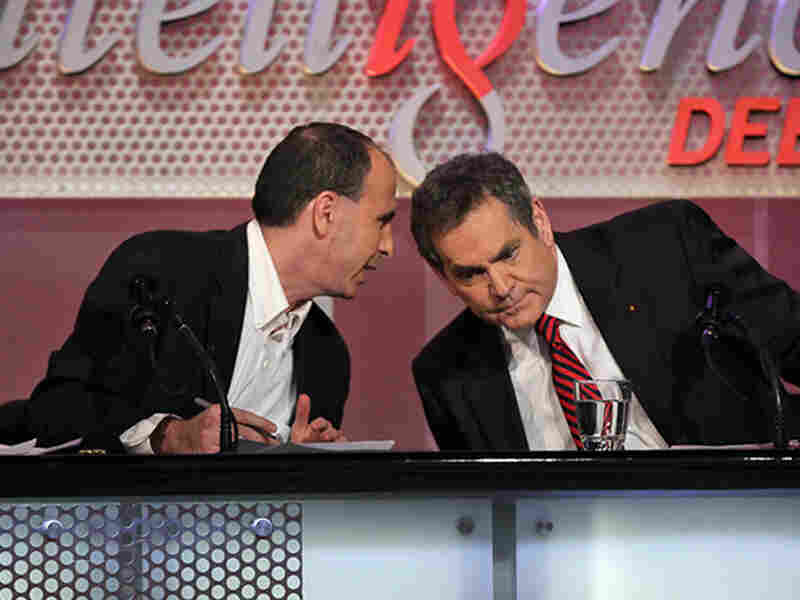 Jonathan Chait (left) and Douglas Kamerow confer while arguing against the motion. Jonathan Chait is a daily columnist at New York magazine, where he contributes political commentary to nymag.com as well as pieces for the print magazine. Before joining the magazine, he was a staff writer at the New Republic for 15 years and won The Week's columnist of the year award in 2010. Chait is also author of The Big Con: Crackpot Economics and the Fleecing of America. Dr. Douglas Kamerow is a family physician and specialist in preventive medicine, a chief scientist in health services and policy research at the non-partisan research institute RTI International and a professor of clinical family medicine at Georgetown University. He is also an associate editor of the global medical journal BMJ, for which he writes a regular column on health policy, and has published a book of essays titled Dissecting American Health Care. Kamerow spent 20 years in the U.S. Public Health Service, leading a range of clinical, health policy and research activities. He retired as an assistant surgeon general in 2001.